Fast & Speed has a street legal buggy available. This is a double seated buggy, which means that it can be driven by two persons. One driver and one passenger. 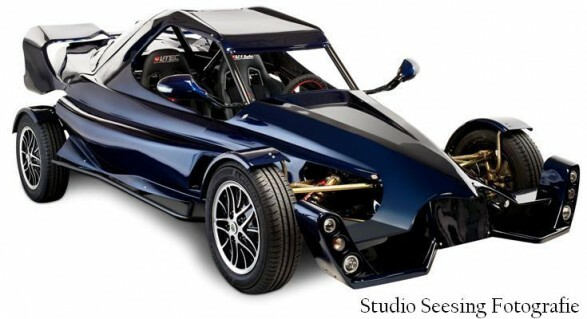 The first prototype which has been released since 2010 has an 1,3 liter hayabusa engine with a 6 speed sequential gearbox with reverse and it has 175 hp. Thereby it is capable of reaching 180 km/h, and it is able to reach 100 km/h within 3 seconds. 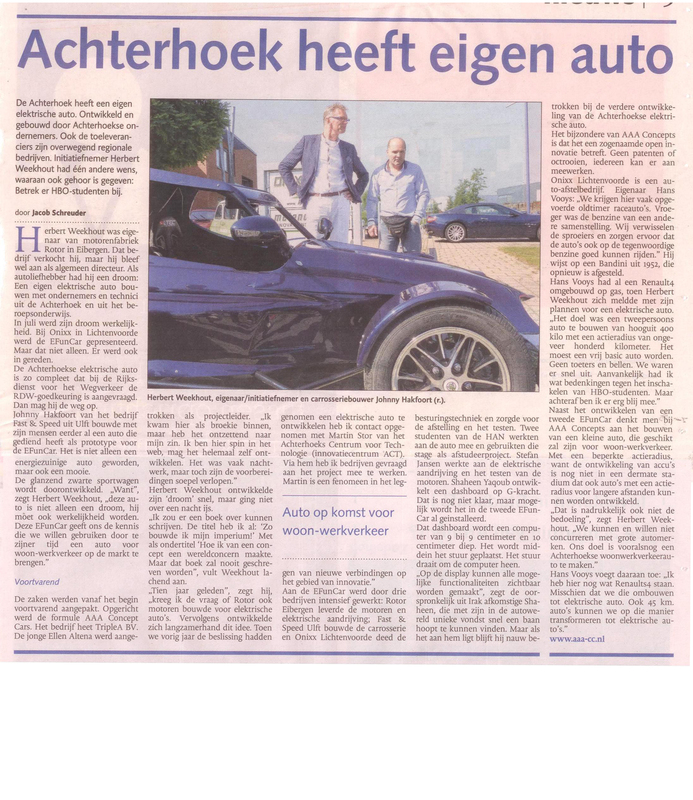 In order to keep developing Fast & Speed is cooperating with AAA Concept Cars, Rotor and RS Machinebouw to develop the next version of the buggy. Fast & Speed built the chassis and bodywork for this car. This version will have an electric engine. This electric car is still in development, but an impression can be made about how this car will look like by the following photos. For more information about this car you can visit the website from AAA Concept Cars. To visit this site, please click here. About this car are many articles written, one of which is written by the Gelderlander and can be found here.